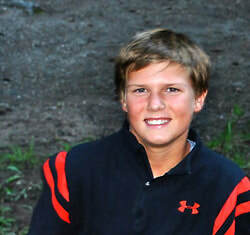 Ambassador 2012 - The JL Foundation, Inc.
Jake is a fun loving 5th grader with two sisters (Loren and Ryann). He enjoys soccer, lacrosse and reading (really). Before last May, Jake was a healthy, athletic 10 year old boy. His family was surprised when he was diagnosed with type 1 (juvenile) diabetes as there was no family history. Counter to what the family had believed, well over half of those diagnosed have no close relative with type 1 diabetes.